We’ve had tales about humans overstepping their boundaries with animals; elephants die everyday because we hunt for ivory, and rabbits in labs receive tumors and chemical burns. In this comic, the animals rebel violently. Not just against humans, but also against eating meat, letting roosters dominate them, and against repressing love. Jesse’s dog Sandor remains loyal and loving, protecting his charge from the more vengeful creatures. As the world goes to hell, they stand tall and stick together. 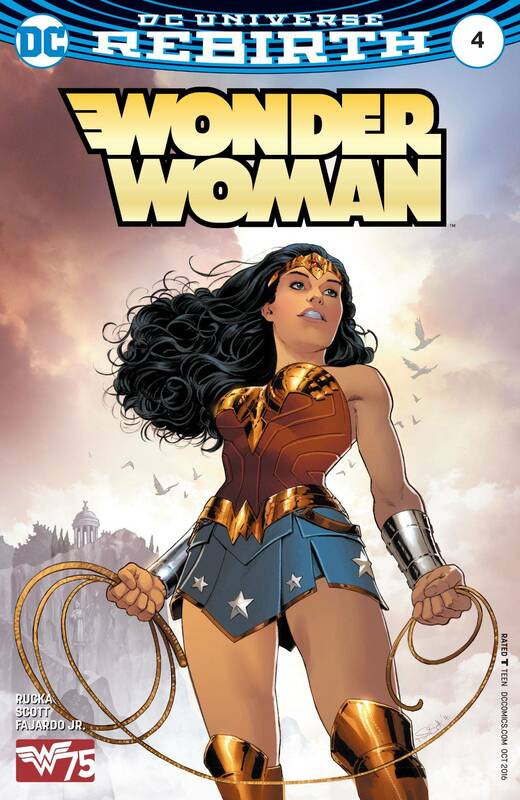 The “Year One” story arc running through the even-numbered issues of Greg Rucka’s rebirthed Wonder Woman has been the strongest aspect of that run so far. 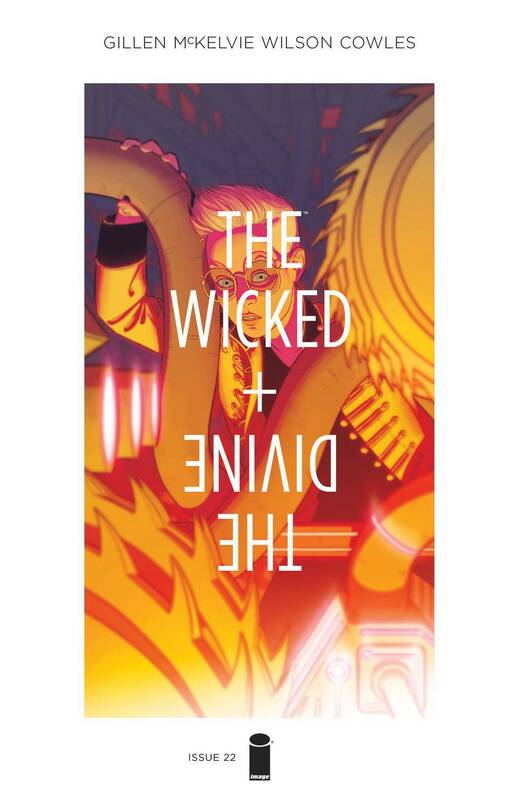 In a year packed with other retellings of Diana’s origin, in just two issues this version has managed to standout. Two sequences in this issue really stood out to me as I read and I find myself thinking on them days later. The first is the reaction of the Amazon High Council to Steve Trevor’s guns. We get the sense of a culture cut off from the world, never having seen such a weapon before but pretty quickly figuring it out, a culture that perceives the symbols on Trevor’s uniform as marking him an agent of Poseidon, rather than a Navy Seal Team. It feels particularly fresh. Both serious and light at the same time. In the second sequence, Nicola Scott’s pencils shine as Diana enters a tournament to be sent to Men’s World. Hippolyta, queen of the Amazons, aims a gun at three finalists in the tournament, and commands them to parry her shot. The first two fail, as she aims the gun at Diana, her face is a mask of concern, doubt, love and will. She commands Diana to parry, we see only Diana’s determined eyes behind her crossed wrists. A page turn, and we cut to Diana’s send off. It’s simple visual storytelling, but it’s so effective and affecting. A perfect combination of writer, artist and colors. Poetic cats, a war between the Arcanic Realms and the Federation of Man, alternate matriarchal Asia, fox kids, witches, monsters, creatures, a powerful mask, Maika (the MC) literally has a monster inside of her that she knows nothing about—what is there not to love?! It’s simultaneously brutal and gorgeous and I found myself battling between wanting to quickly turn the page to see what happens next and wanting to linger on each page to catch every detail of the beautiful artwork. 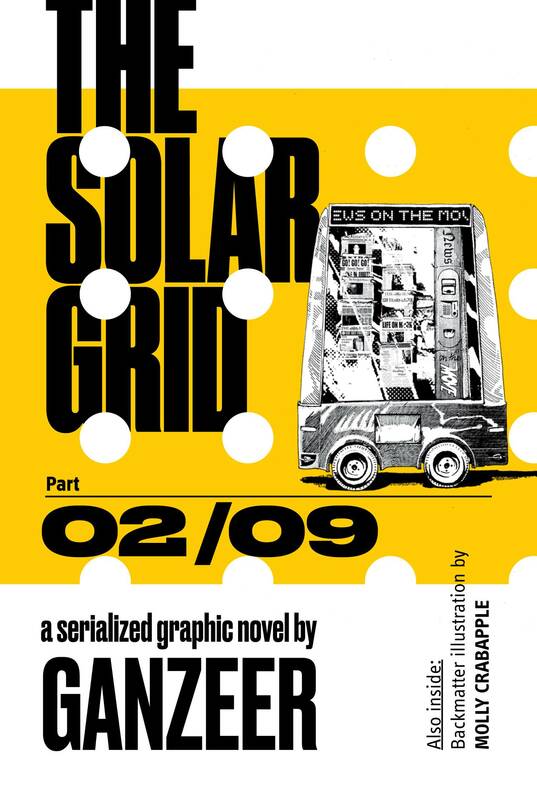 Solar Grid #2, “Magnitude and Complexity,” is in the flooded future where Sharif Al Gebri’s Skyquench is aiming to siphon off water from Earth for other planetary establishments. Safety 1st officers come to take a look at the apartment of Teddy the whistleblower who leaked Skyquench docs and fled to China. There is wonderfully terse humor and the two officers find a clue in a package sent by a friend of Teddy’s. After that, there’s a brilliantly drawn TV sequence with boxes that look like overexposed, caricatured screenshots beside blocks of text spoken by the TV talking heads, who are cautiously interviewing Sharif Al Gebri, holder of 6,649 patents and billionaire. Can’t wait for #3. This issue concludes the ‘Rising Action’ story arc. We know we only get the Pantheon for two years before they are all dead. 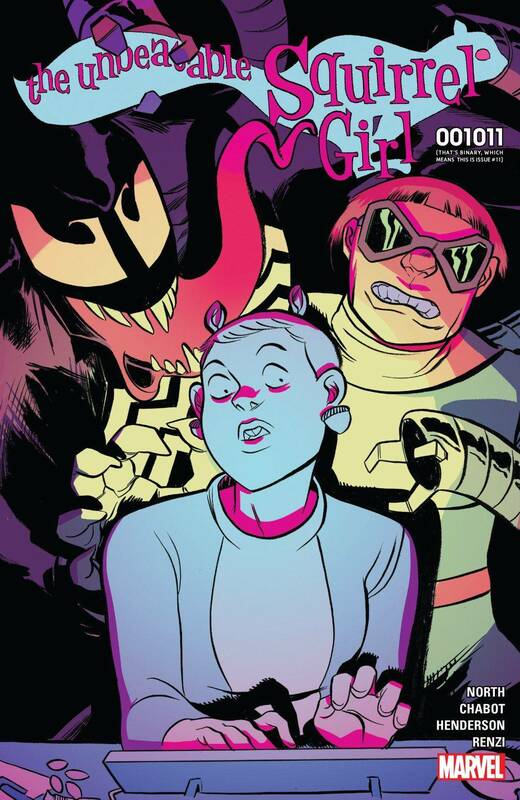 By this issue, Ananke has already killed three of our beloveds as well as murdered some of their parents. And now she’s about to sacrifice Minerva and use the power to kill the rest of the Pantheon. This whole series has been a constant and thrilling escalation thus far. This issue, though, is absolutely amazing. The artwork, the story, and especially the dialogue only makes me hungry for more. When an artist subs in for the main book artist, you always anticipate how the issue will be. Luckily, Jacob Chabot’s lineart is great (it’s different from Henderson’s style, but his Doreen Green really worked) and writer Ryan North even gave us a good reason for Doreen looking a little different — she’s trapped in a nightmare with a bad guy trying to drive her mad! The whole issue is funny, because the book is always funny, but the best part of this one-shot is that Squirrel Girl defeats the villain … through computer science knowledge. And bonus: you get to learn how to count in binary! 26 year old artist David Smith has hit rock bottom. His family is no longer around, he can’t sell any of his work and he’s only a few weeks away from being evicted from his New York apartment. Then one boozy afternoon he has a chance meeting with his uncle Harry. The problem? Harry’s been dead for years. It’s not really Harry of course, it’s the Grim Reaper and he’s come to offer David a deal: He can be the most talented sculptor the world’s ever seen. In exchange he can only have 200 days to live. 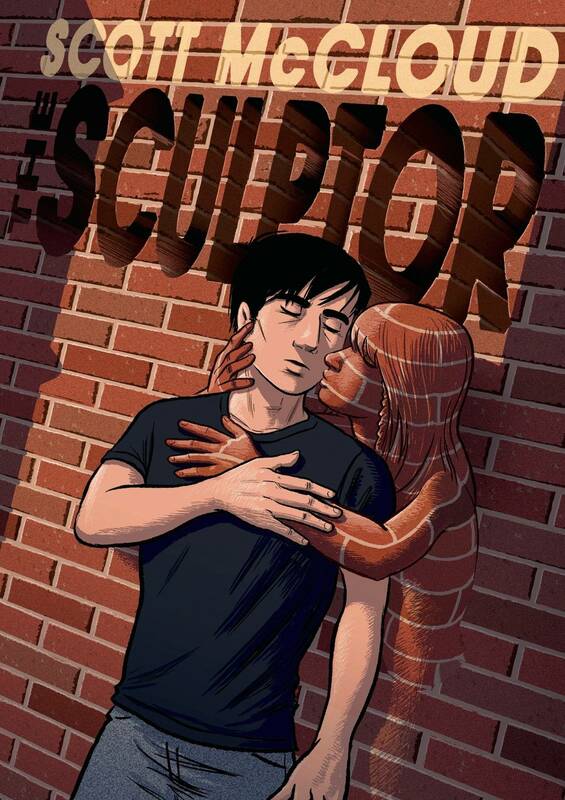 Five years in the making The Sculptor is a unique look at the life of an artist, first true love, living in New York and our own mortality. 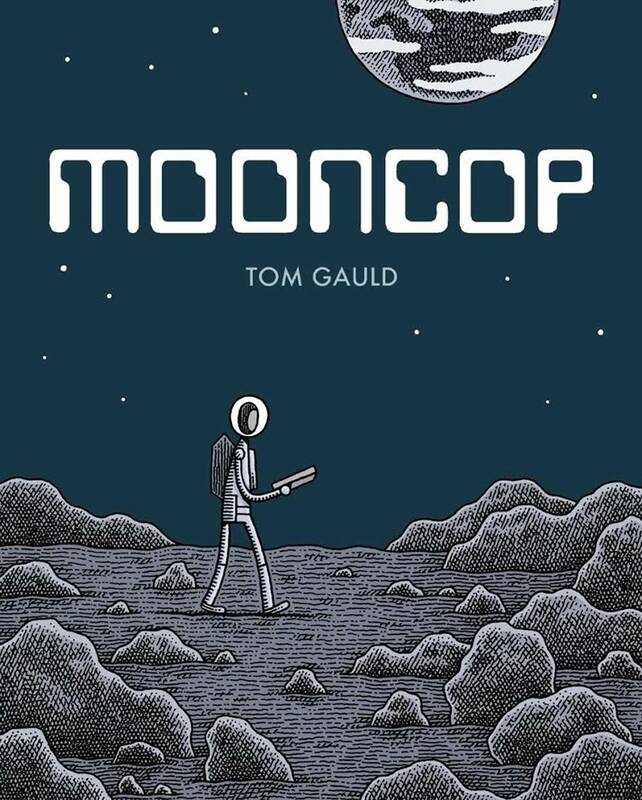 It’s been the best comic I’ve read in a very long time. Confession: I didn’t expect to like this comic, much less love it. I’ve tried Star Trek comics in the past, and they just haven’t been my thing. 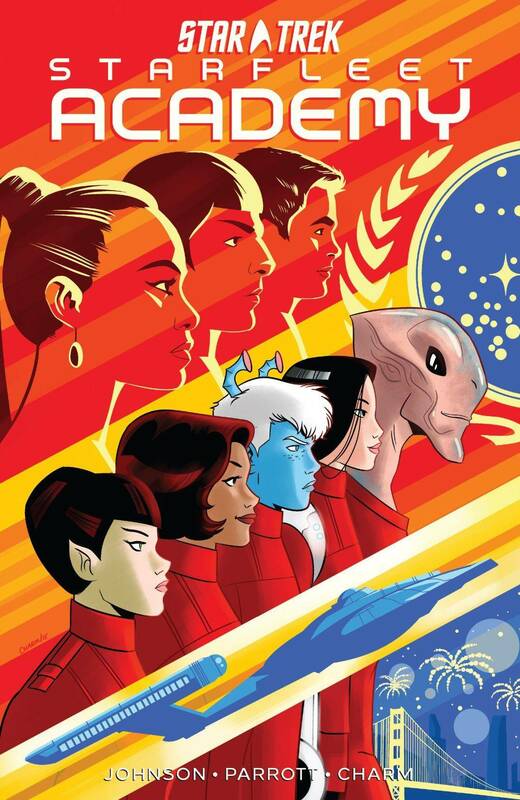 But the premise of this comic—focusing on a new crop of Academy students, with a parallel storyline featuring Uhura—hooked me from the start. 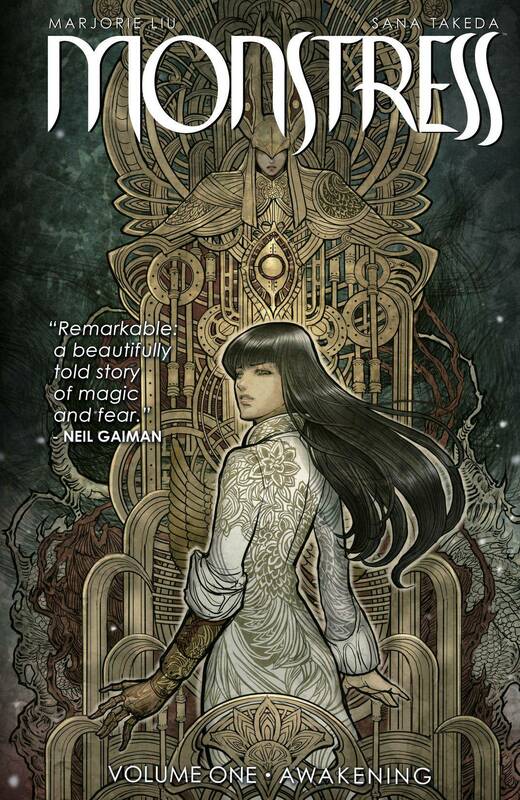 I loved the rich, brilliant colors and precise artwork that brought the setting and characters to life. I was intrigued by the mystery presented in this volume, but it was T’Laan, a Vulcan attendee of the Academy who is torn between her duty to help rebuild her race and being in Starfleet, that really made me love this series. The real is back. Walker, Villalobos, and Bonvillain are in top form here, as usual. This is the best kind of procedural slow burn, and as much as it hurts to watch Nighthawk tear himself apart in the pursuit of justice, I am completely invested in where this story is going to end up. Walker isn’t pulling any punches here, for any of the characters or the city of Chicago itself. 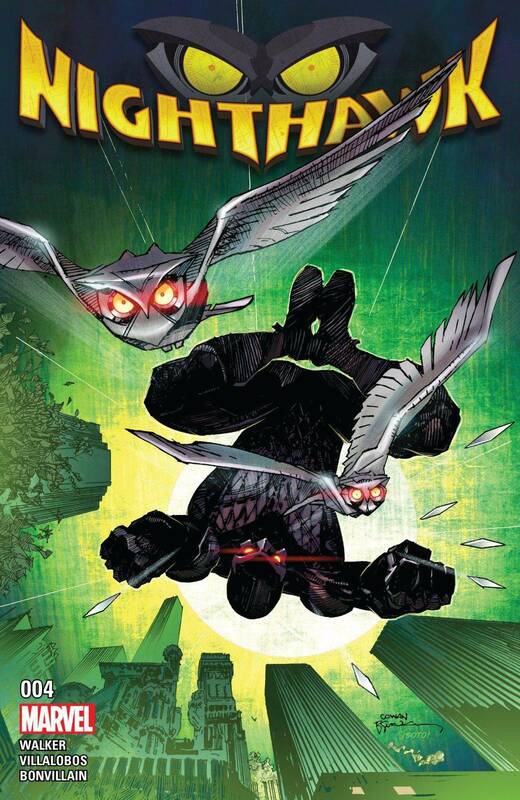 This is the kind of messy, gritty, real world superheroics I like to see in my cape books–and the team keeps the story mature without descending into gratuitous violence and offending the reader for the sake of it. 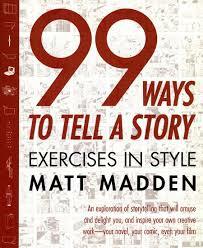 Inspired by Raymond Queneau’s Exercises in Style, in which he told the same story in 99 different ways, this was Madden’s own attempt to apply the exercise to a visual narrative.The result shows the sheer potential of comics to recount a seemingly simple moment in a multitude of exciting and mundane ways. If you’re at all interested in the technical aspects of telling a story in words and pictures then this is well worth picking up. The partnership of Barbara Gordon’s Oracle and Dinah Lance’s Black Canary within Birds of Prey cemented my love of comics back in the early 2000s. 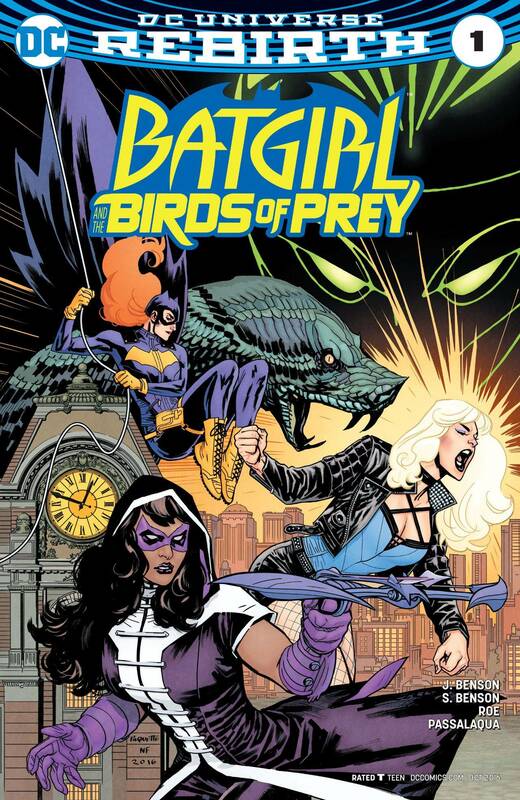 Consequently DC’s announcement of Batgirl and the Birds of Prey as part of Rebirth made me decidedly nervous. It’s almost better that I expected the worst, because the relaunch of BoP is AWESOME. Dinah and Barbara retained their New 52 personas, allowing Dinah to continue her badass D.D. sarcasm and affected anti-hero attitude, while Babs remains less calculating and more “do-gooder.” It makes the relationship between them feel new and undiscovered. The addition of Huntress, once again on a mission of vengeance, is icing on an already delicious cake. I love these women, and I’m super excited to see where the creative team takes them. 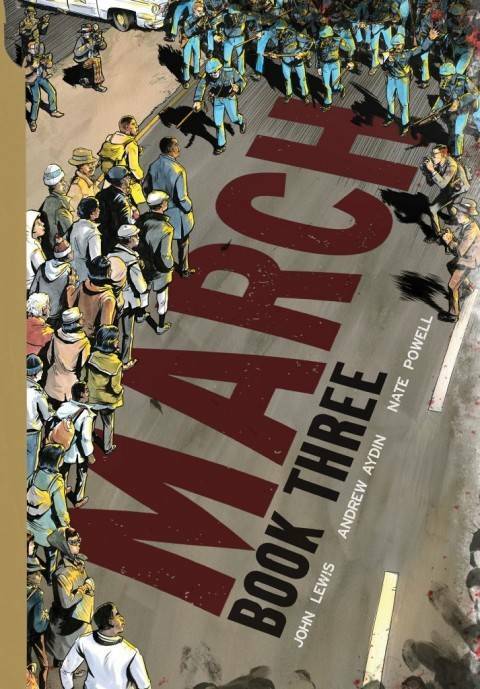 March is a graphic memoir of Rep. John Lewis mainly covering his time as a Civil Rights Activist. This is the final volume in the series and continues on with the themes and ideas covered in the first two books as John Lewis discusses the marches, protests, and work he did to help persuade the government to pass the Civil Rights Act of 1964. There is so much to love about this graphic novel series: Rep. Lewis’ honesty about his struggles through this period and the different people involved that he may not have agreed with, how he is able to give a deep and comprehensive history of the Civil Rights movement. But the best is to see both how far we have and have not come as a country. The discussions of volunteers being killed by police officers and no one charged with the murders and how many government officials are making it difficult for black people to register to vote could have been news stories from 2016. It does not matter how much or how little you know about the Civil Rights movement, this should be required reading for everyone. 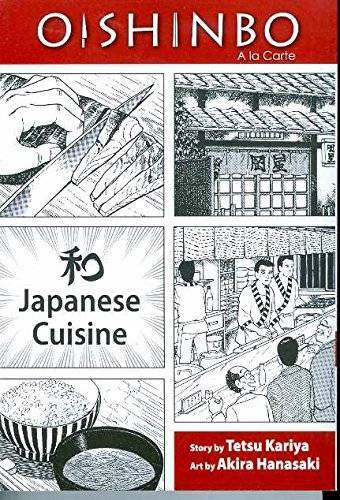 On paper, this manga sounds like it shouldn’t work: it’s basically all about food. Yamaoka Shiro is a journalist whose newspaper is publishing the “Ultimate Menu,” and Yamaoka is in charge of compiling it. The story’s not really about that, though; the Ultimate Menu just gives the characters an excuse to go to fancy restaurants, eat tons, and discuss food constantly. Like I said, it doesn’t sound like the most promising premise for a story, but Oishinbo is probably among the top ten mangas I’ve read, ever. It succeeds mainly because of the characters and the tension between (anti?) hero Yamaoka and his father, who’s Japan’s most famous and respected food critic and a total a-hole. If you’re at all interested in Japanese cuisine, you won’t be disappointed! Frustrated Earthling teen Becca and her wizard-slaying warrior friend Goleta traverse a perilous fantasy world in a mystical muscle car to become my favorite buddy road trip of August. Volume One is a self-contained story, but I wished “The End” was “To Be Continued” instead. 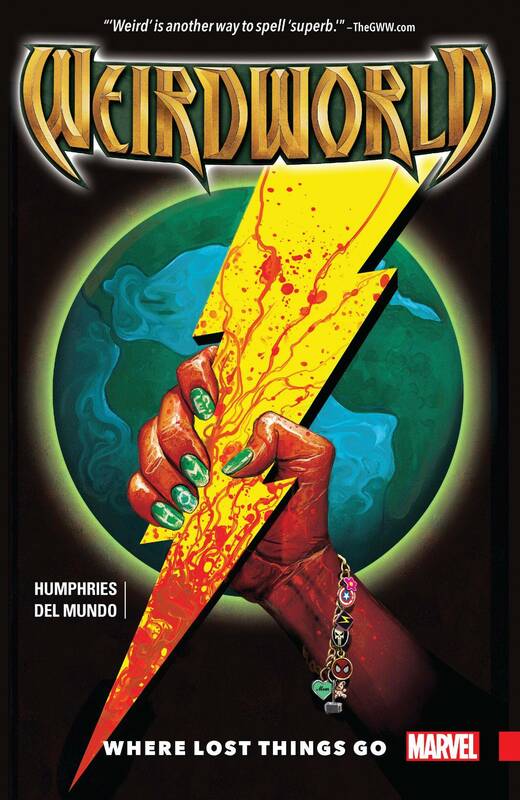 Del Mundo’s art fills each page with a glowing grandeur that moves on its own. Top that off with a sinister, nuanced villain in the form of Morgan Le Fay, and Humphries’s voices take the reader from amusement to tragedy and back. Fans of girl power, family feels, and out-of-this-world creature designs (including a flying, talking cat wizard) need to check this out. 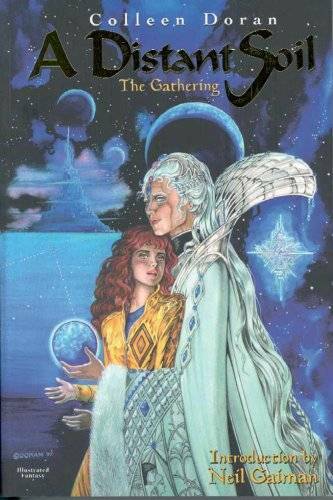 A Distant Soil is a splendid space fantasy that follows fifteen-year-old Lianna as she discovers she is the heir of a tyrannical alien empire—an empire that would just as soon have her dead—while trying to learn how to control her psychic powers. The first volume is mostly setup! As Lianna and her brother Jason break out of the research facility where they’ve been held for years, discover their true nature, and form a ragtag resistance that includes everyone from a Russian dissident to Sir Galahad. What really sells the book, however, is Doran’s exquisite black and white artwork. Comics have rarely, if ever, looked this good. “Mooooom, please. Just pick me up. I want to go home. There are boys out there.” On his first day attending an all-boys Christian high school, new student Jory captures a sentiment shared by many queer male teens in dude-only spaces, and also my heart. BOOM! 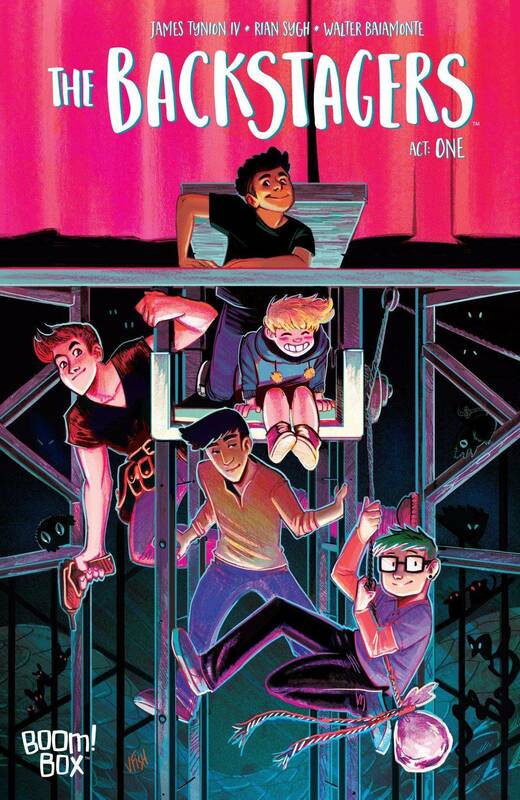 Studios’ new all-ages miniseries about the fantastical shenanigans of St. Genesius Prep’s theater stage crew serves up a greater variety in (predominantly queer, as interviews indicate) male personality types than companies’ entire publishing slates do. Rian Sygh’s expressive cartooning renders anxiety sweat, non-stop blushing, and disgusted nostril flares with aplomb. Tynion’s clever and considerate script crafts a world that’s fun, authentic, and emotionally honest. Combined, the two uniquely capture the light-hearted drama inherent to high school (emphasis: with teenagers) theater. 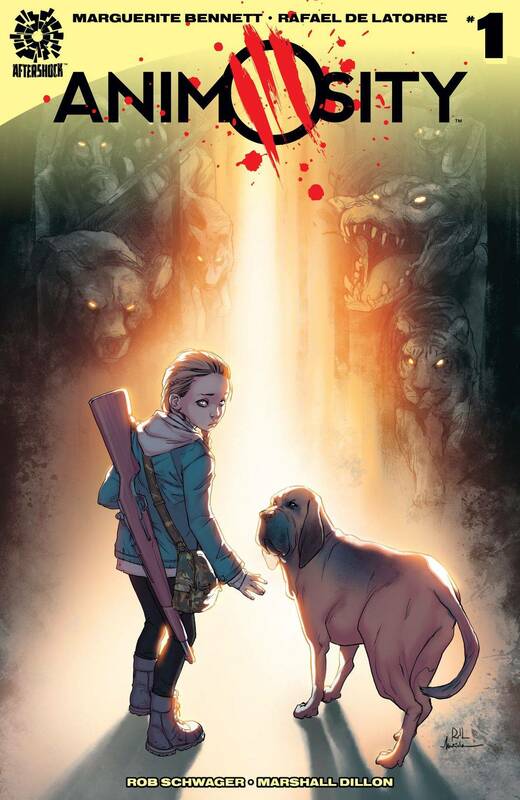 If the series continues its first issue’s momentum, it has the potential to be unlike anything the comic industry’s ever seen. 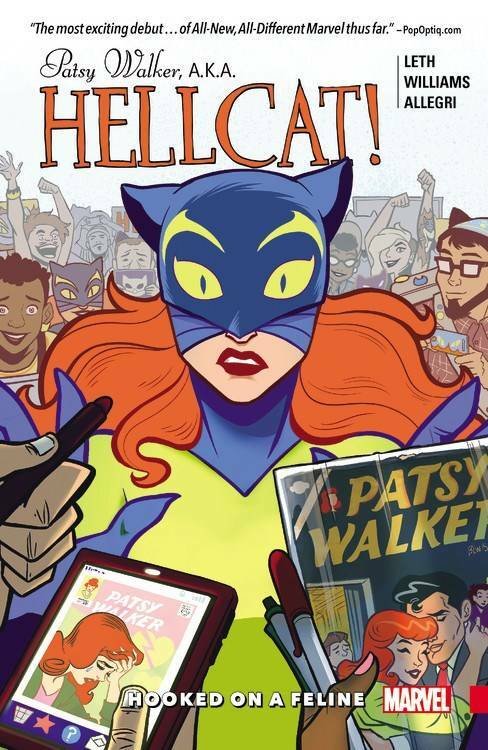 Patsy Walker is a superhero, but she just lost both her job and her living quarters. While trying to deal with job hunting and a new apartment, she also has to take down a villain trying to exploit the super powered people of New York City. Oh, and stop her ex-bestie from reprinting the old romance comics she used to star in… Patsy Walker, A.K.A. Hellcat! is a great place to start if you’re new to capes and tights comics. It’s a smart, feminist comic by an all-female creative team that does a great job of situating superheroes in the real world. And it’s hilarious! Cat puns. All the cat puns.